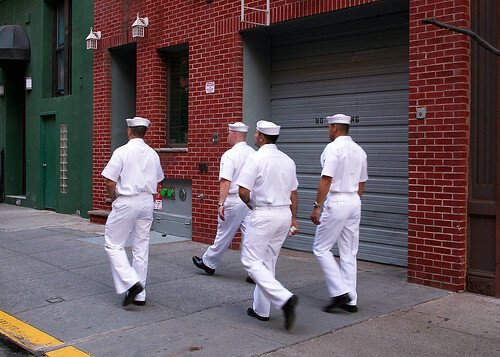 Sailors on 50th Street on their way to Times Square. 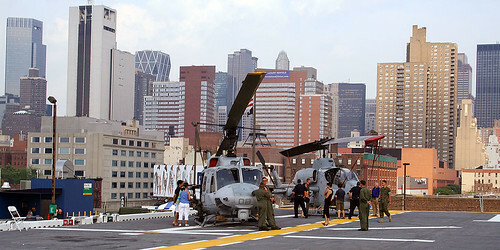 From the deck of the USS Wasp, NYC in the background. 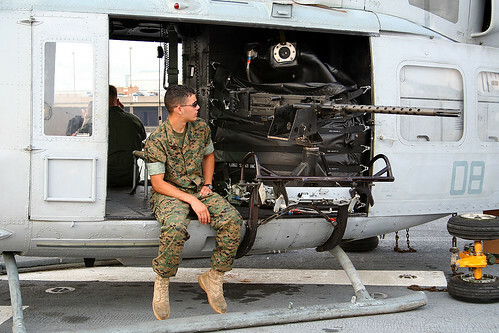 I was snaping photos of the helicopter gun, and this soldier walked over and non-chalantly sat down in my shot. I think he knew that the final product would be lacking with-out him in it. He was right. 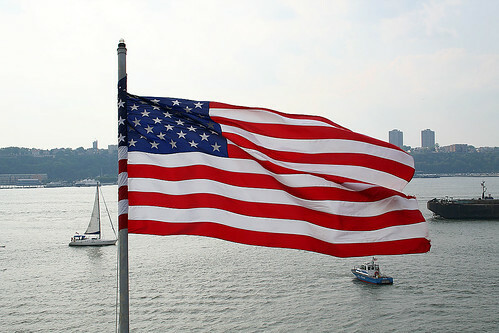 Nice shot with the guy in it! 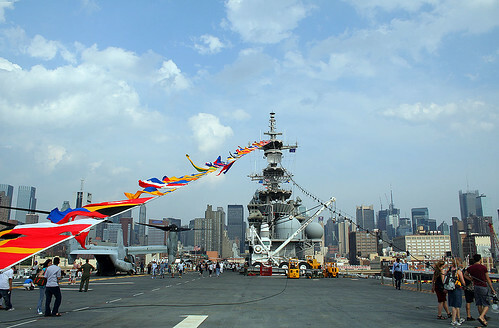 I love the whole Fleet Week event. 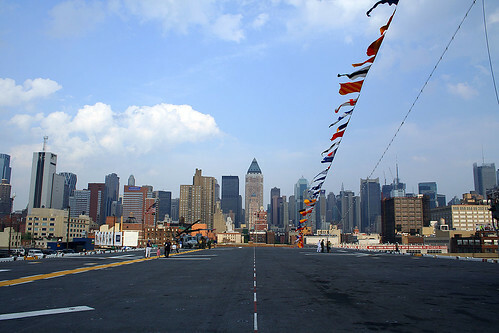 There's something both quaint and cosmopolitan about it.